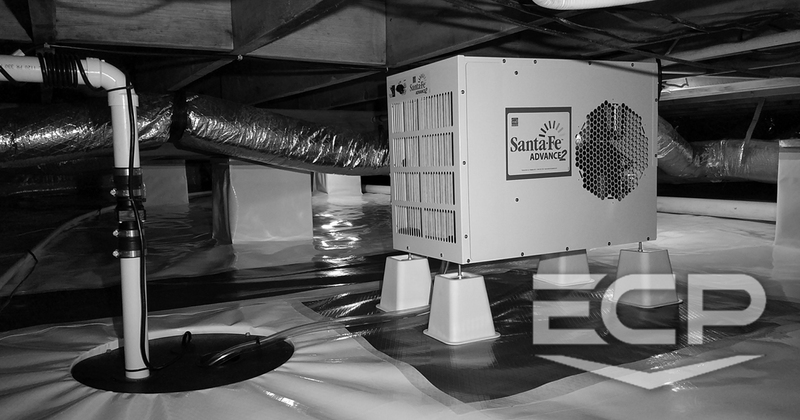 ECP’s Crawl Space Encapsulation service provides an energy efficient way to reducing humidity levels in your home’s crawl space. We use high capacity free-standing dehumidifiers, as well as, a high-performance vapor barrier. 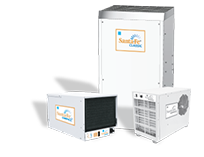 The Santa Fe line of high capacity, energy-efficient and free-standing dehumidifiers are designed to provide the ultimate in humidity control for basements, crawlspaces, and living spaces. Design, manufactured & serviced in the U.S.A. 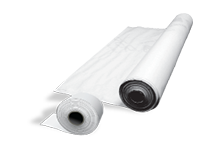 The ECP crawl space vapor barrier is a high-performance crawl space vapor barrier designed to prevent moisture from entering the crawl space. The ECP 12mil and 20mil vapor barriers guard against mold, mildew, allergens, fungus, radon gas, methane gas, heat loss due to damp insulation, wood rot, and overall degradation of the crawl space.